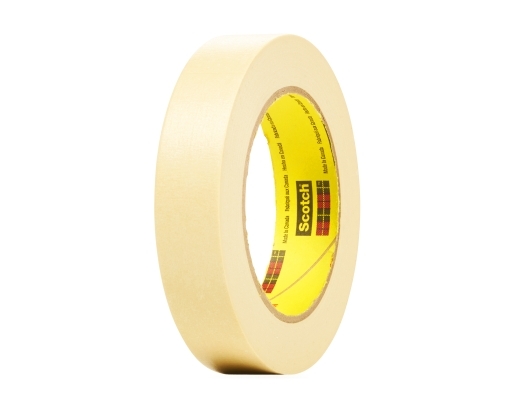 Ideal for masking, mounting and labeling on multiple surfaces. 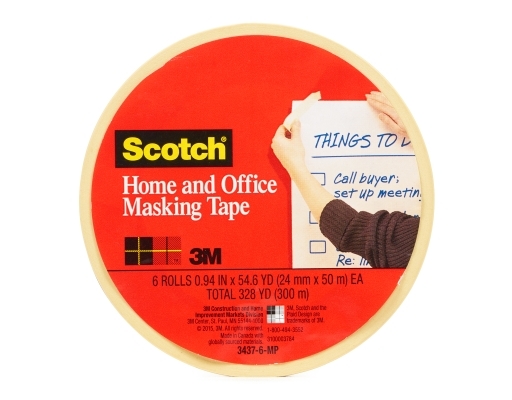 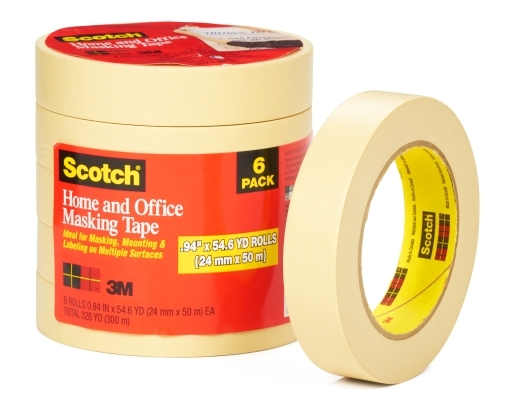 Scotch Home and Office Masking Tape offers secure holding power and resists breaking. It applies easily to clean surfaces, removes without leaving residue and conforms to curved and contoured surfaces. 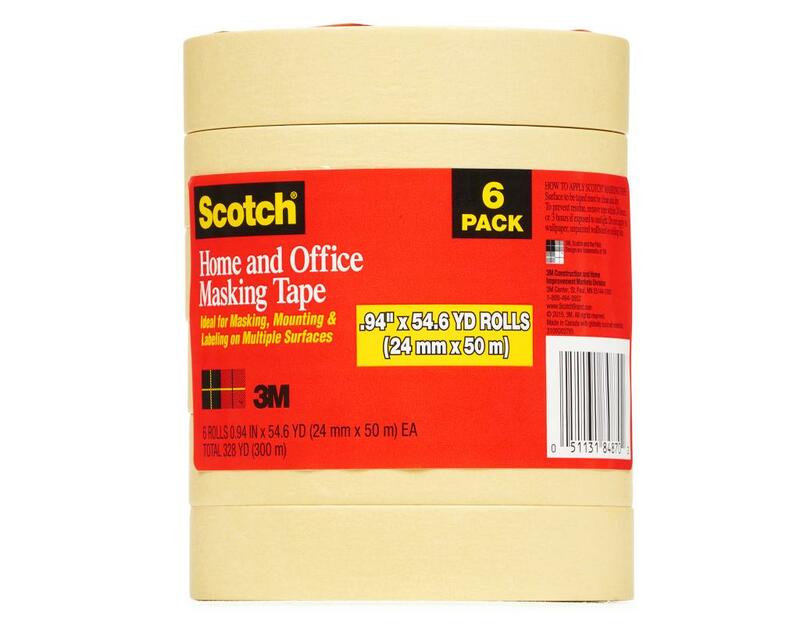 Perfect for home and office usages. Six 0.94" x 54.6 Yard Rolls.